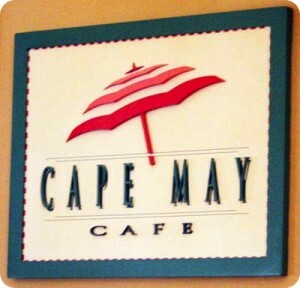 My son was 4-years-old when we ate there in Aug. 2011 at Cape May on the dining plan. He has over 20 allergies, but he can eat seafood. 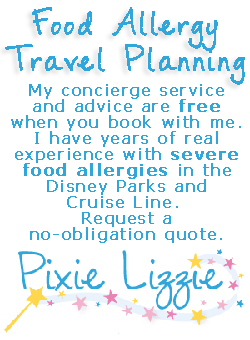 The chef called me several times before our trip to plan for him. He wanted to make sure that my son had plenty of safe foods to eat that he would love. The chef offered to make a special rice milk flan for dessert. We arrived before our ADR time, and waited for a few minutes before we were taken to a table. There was a tv with classic Disney cartoons on in the lobby while we waited. The table had paper on it, and my son loved being able to color on it while he waited for his food. The chef came to the table and walked me around the buffet to get some ideas of what he could prepare safely for my son. He brought him some fresh fish and veggies. My son ate over a bucket of clams and some crab legs too. He ate more there than any where else at Disney. 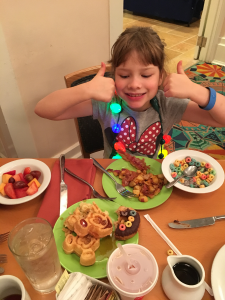 I loved the crab legs, friend shrimp, red potatoes, Oreo Bon Bon, and Key Lime Tarts. If you aren’t a seafood lover there is still plenty of food to enjoy like barbeque pork ribs, marinated roast chicken, pasta, mac and cheese, and beef tips. We all loved it so much that we are going back this summer! 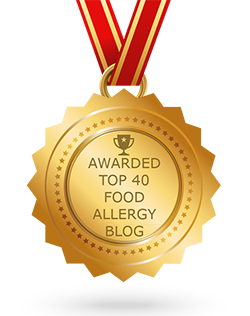 If you would like to review Cape May Cafe or any Disney restaurant, submit a food allergy dining Quick Review.